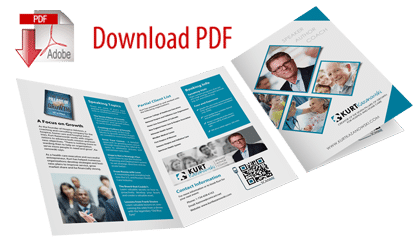 Kurt is a successful entrepreneur, noted author and sought after growth performance strategist that assists organizations, employees, individuals and families maximize their potential. Employing the principles of NOW, Kurt speaks to organizations, groups and individuals in an effort to help them identify and unleash a new found vitality and freedom that transforms organizations and individuals to realize, recognize and achieve their goals. STEP #1 - Please enter your Name and Email address to get instant access to "Kurt's Goody Vault" where you can enter your password for instant access. As a condition of submitting your name and email address and requesting access to this valuable content, you agree to allow Kurt Kazanowski and/or KazNow.com to send occasional email messages and newsletters to you. Messages may include information or the promotion of products or services offered by Kurt Kazanowski. Your information will not be shared with any person or organization outside of KazNow.com.